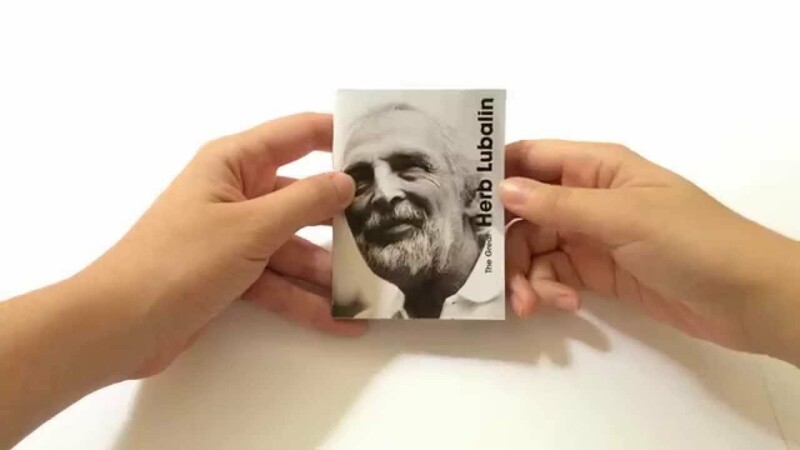 The main purpose of this assignment was to explore the design of a booklet with an interesting folding structure that showcases the work of Herb Lubalin. Prior to designing the booklet, I wrote a research paper on Herb Lubalin, which can be found here. What was explored through this assignment was designing a booklet where the pages were not side by side on a file, so there was a lot of planning prior to putting things down on the computer. Different folding patters were explored, considering the content that was going to be used inside the booklet itself. The largest size of the pages in the booklet were required to be 3x4" and spreads were not to exceed 11x17".